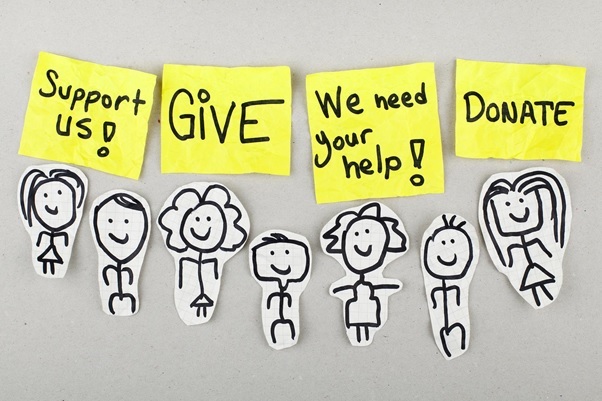 Fundraising events are a fantastic way to build up funds either for charitable reasons, or to kickstart a project that needs an injection of cash. They’re also a great way to bring together your team, you clients, partners, and members of the public, and offer a perfect opportunity to have a bit of fun, and club together for a cause. The best fundraising event ideas, however, are those which combine a sincere message with a real essence of enjoyment and plenty of laughter. If your attendees are having a great time, letting their hair down, and generally smiling throughout the event, it’s likely they’ll be more willing to put their hands a little deeper in their pockets and show their generosity. There are plenty of tried-and-tested fundraising event ideas out there, which range from the simple and affordable, to those which are a little more elaborate, and require a bit more planning. At Mask, we’ve overseen more fundraising events than we probably care to mention, and we’ve definitely noticed that the most effective are those which remain simple yet offer plenty of opportunity for giggles and light-hearted entertainment. The key here is engagement - you want your attendees to be full participants in the event, and completely involved and united for the cause. As industry leaders in this field, we thought we’d gather together some of our favourite fundraising event ideas, all of which are perfectly simple, straightforward, and affordable to organise, and yet which are totally capable of filling your coffers with the cash you need for your cause. Check them out below! At Mask, we love it when event organisers get creative with fundraising ideas. We’ve hosted plenty of our own, and that’s just one of the reasons why we’re considered among the best in the industry. Want to find out more? We’d love for you to get in touch and talk to us about your ideas! This is a perennially popular idea when it comes to fundraising events and is part of the ‘fining’ concept that you’ll find at everything from private members’ clubs to large-scale charity gigs. It essentially involves selecting a list of words, phrases, or clichés which become ‘banned’ for the duration of the event. These could be everyday words, swear words, industry pieces of jargon - or a combination of all three - which must not be uttered during the event. Should anybody use these words, an invigilator will issue a fine, and money must be paid into the pot! You could add a sense of fun to this fundraising idea by getting certain people in the room to encourage others to use the banned words, and then fine them on the spot should they get caught out! It’s incredibly simple and straightforward, and the night is bound to descend into laughter the more people get fined for not controlling their language. What’s more, it’s one of the cheapest and simplest fundraising ideas to set up - all you really need are some posters put around your venue, with the banned words listed on them! This event fundraising idea brings a sense of luck and competitiveness to your event and is always a hit no matter how big or small your gathering might be. The idea is relatively simple - it involves each of your guests being handed an envelope at the beginning of the event, into which they’ll place a cash sum of their choice (usually between £1 and £10). The envelopes will all then be put into a box. At the end of the evening, one lucky guest (who can be chosen at random, or by any other process you wish) has the chance to pick an envelope out of the box, and they’ll win ten times the sum that’s kept inside. All the rest of the money collected will be donated to the cause you’re raising funds for. Any sort of fundraising idea which involves the possibility of a guest winning something is sure to encourage plenty of engagement. While this idea does involve giving some money away (usually no more than £10), the amount collected will far exceed this sum, meaning you’re sure to raise plenty of funds for your needs. Who doesn’t love getting creative in the kitchen? 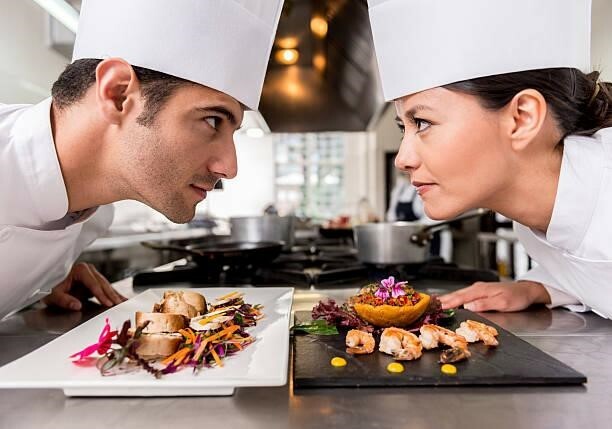 If your venue has the space and capabilities to deal with it, a cooking competition could be the perfect way to really boost the engagement at your fundraising events. This sort of fundraising idea works best when the participants are able to cook ‘live’ at the event, but if that isn’t possible, you can encourage your attendees to bring their culinary masterpieces along to the event and display them prettily on specially set up tables. The money is then raised by charging the other attendees a small fee to try the food on show, and a small prize can be presented to the lucky winner. This fundraising event idea works well because it gives your attendees the chance to show off their skills, their passions, and their personality through their cooking. Even if the participants have no obvious cooking talent, this can add a real element of fun to the proceedings! If your event is a creative or artistic one, it would be well worth considering a fundraising event idea that follows up on this theme. One popular option is the ‘trash art’ auction, wherein you ask your attendees to produce some artworks made from found items and materials live at the event, which are then auctioned off at the end of the evening. The event raises funds, the attendees have great fun creating their masterpieces, and a few people get some ‘art’ to take home with them at the end of the night! Who doesn’t love getting creative with their hands? This fundraising idea is a great way to get your crowd involved and have a load of fun as they make their masterpieces, and auctions are the perfect method to really ramp up donations and encourage competitive spending! 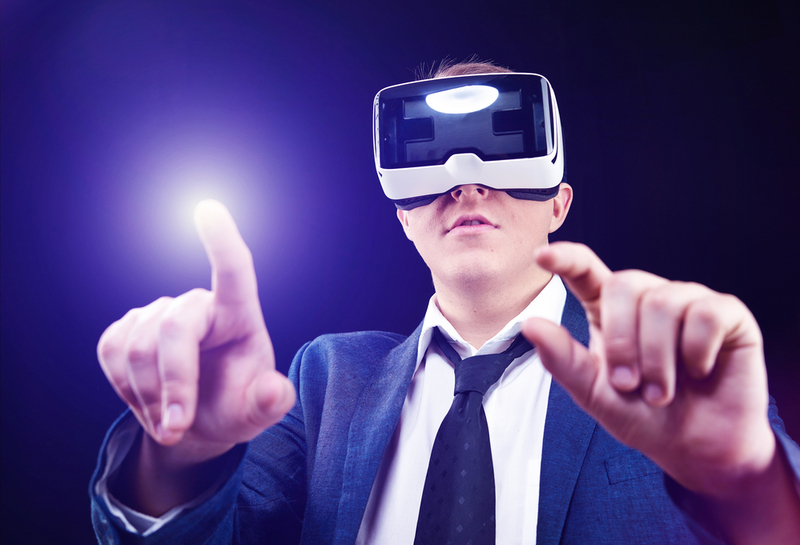 If your fundraising event has a tech aspect to it, you might want to consider using computer games or VR as a way of making some money for your cause. All this would require is setting up gaming stations or VR experiences and charging your attendees to play. Some venues have had great success from setting up livestreams of games and getting everyone involved in interactive games. This event fundraising idea really demonstrates your commitment to everyone getting engaged and having a good time. After all, who doesn’t enjoy video games? Want to get creative with your attendees? Why not host an art or photo competition? This idea works brilliantly in creative industries and encourages attendee engagement by getting them to demonstrate their skills in drawing, painting, sculpture or photography. You can either charge a small fee to ‘display’ the artworks or hold an auction at the end of the evening to sell off the work and raise money for your needs. Everybody loves creating art, no matter whether they’ve got the skills or not! What’s more, people always like the idea of owning original artwork, and the auction idea works brilliantly to encourage people to put more money in the kitty. The ‘pub quiz’ is a British institution which everybody loves getting involved with. This is a brilliantly affordable idea which your attendees will be more than familiar with. All it takes is for somebody to act as the host or quizmaster, and to print out some answer sheets and provide some pens! Get your attendees to organise themselves into teams (remember to make a maximum team size to avoid grumbles!) and establish a series of rounds based on general knowledge, trivia, and some industry questions, too! 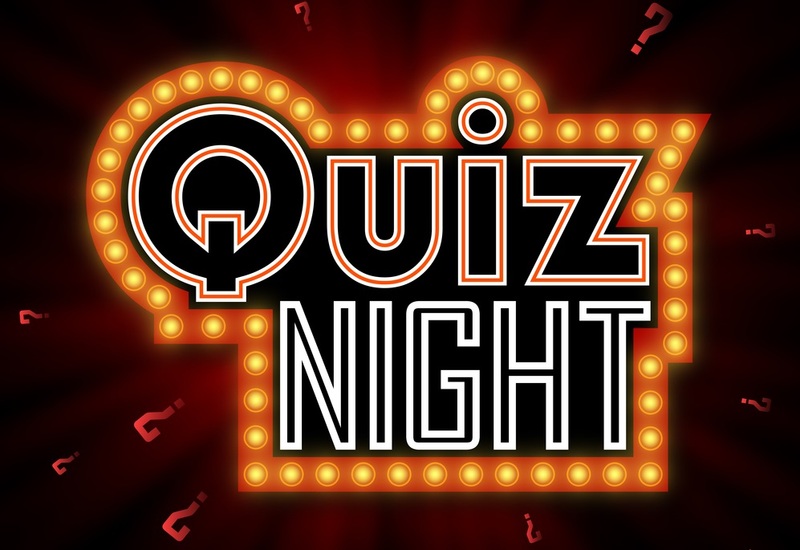 Quiz nights are a great way to raise funds. You just need to charge each individual player an entry fee, and then organise a prize (which could be donated to save money and boost those fundraising profits!). Everybody knows what to do, so there won’t be any confusion… and it should result in a fun evening for all involved! This British fair classic is always a sure-fire way to raise some funds for your event. It’s simple - participants buy as many raffle tickets as they want, and then at the end of the evening, numbers will be pulled from a hat which correspond to the tickets sold. You can get partners or clients to donate prizes, to avoid having to splash out on gifts for the winners, too. It’s a tried-and-tested classic fundraising idea, and one which instantly brings back happy memories of school fairs and country fetes. What’s more, there are always guaranteed winners at a raffle, which really encourages engagement and increases the anticipation. There’s no doubt that a great fundraising event idea can really add a sense of fun and enjoyment to your evening and boost the amount of money going into the coffers for your chosen cause. All of these games and activities have been shown to work brilliantly, but there’s nothing wrong with coming up with your own ideas or adapting the classics to better suit your event!